người hâm mộ lựa chọn: Kind of..? Do bạn Like The Great Gazoo? 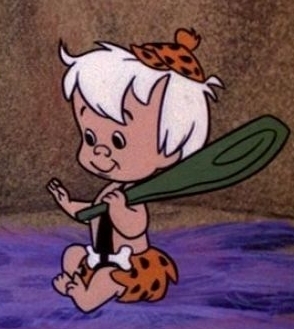 Have bạn Ever Watched "The Pebbles and Bamm-Bamm Show"? Is there an episode where Fred is cloned because he says he is easy to live with. Someone mentioned this saying they believe Gazoo makes a double of Fred to hiển thị him how tough it is to live with himself. Can anyone help? a comment was made to the poll: Who do bạn like better, Wilma hoặc Betty? a question đã được thêm vào: Greetings fellow Flintstone fans. Can someone tell me which episode involved an argument between Wilma and Betty? Wilma is quoted as saying "After what Barney did.." Betty then responds with "Barney, Barney, what did Barney do!?" Thanks in advance!